To see the previous tool in “The Basics” series, click here. What are the basics of the Christian life? Don’t let anyone push you off the road onto an exit ramp that will have you focusing on the “exotics” rather than the “essentials” of following Christ. Keep it simple, keep it doable, keep it biblical! Just keep diving deeper and deeper into the Lordship of Jesus Christ, your daily time in prayer and the Word, your love for other believers, and outreach to the lost. If you can get strong and consistent in these “basics” you are surely on your way to becoming a sold-out disciple of Jesus Christ. This Wheel Illustration is a great tool to evaluate your own spiritual growth, but also as a guide as you start to disciple other new believers. In fact, you might consider pulling it out every week to discern what aspect of “The Wheel” you personally need to grow in, as well as helping you put together a practical and biblical growth plan for the upcoming sessions you are having with your young disciples! 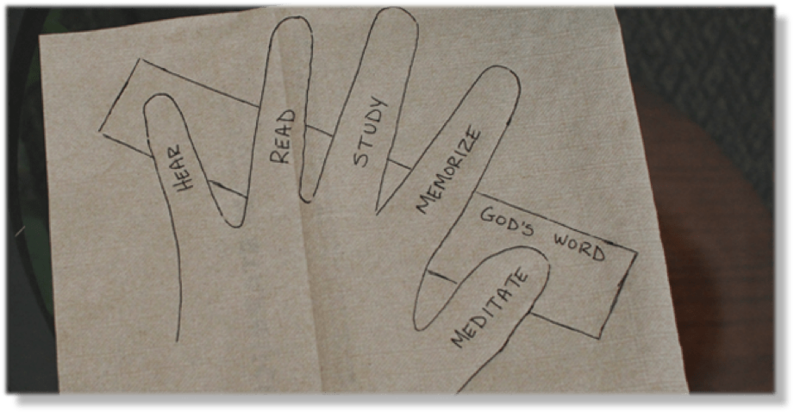 This tool references the Lordship Circles, the ACTS prayer method, the Hand illustration, and the Bridge Diagram, so you may want to check out those tools as well. For the following tool in “The Basics” series, click here.